Hey guys, Jordan here. Hope you are all doing well. I'm so sorry for not updating the blog as often as I would like to. You may or may not know that since My Little World came out, I've been focusing a lot more on my new startup TeachWare, but that doesn't mean I'm not working on Casey Games anymore, and like last year, on December 30th I will be announcing my plans for the new year. Also last year I did a "Year In Review" post and this is exactly what I'm going to do now. I never expected this year to be as amazing as it turned out to be, this is one of, if not the best years of my life. The year started with a bang. In early January we launched our first game of the new year, Food World. It turned out to be a great success. We took a hiatus on the project however due to our designer, Aidan and his import GCSE exams. With all that's going on at the moment, I can't really try and fit this project into my current active ones, but this is one of the games I wish to try and resume in the new year. I also got the amazing opportunity to speak at the BETT conference in the EXCEL in London. t was amazing! This is the first of many trips to London in the year, and I really really really love the city. It's definitely the top place I'd like to live and set up my business in. February was a great month too. I started trying out a radio station entitled "Casey Games FM" but that didn't go too far. I also announced the development of our main game of the year, My Little World. I got the awesome opportunity to attend the "Casual Connect" Conference in Hamburg for 3 days. It was a really really really benefiting conference, as I got to meet some awesome people from the gaming industry. March, like all the other months was great too. I got the opportunity to speak at the Games Ireland Gathering in the Aviva Stadium and I got to show My Little World for the first time. But, March was a very busy month as I put all my focus on My Little World and I made a lot of progress on it. I also tried another media project, this time being a gaming network, "CGN" but that, like the radio station didn't go too far. April, April, April... one of the BUSIEST and BEST months of the year by far. On the first of April, I ran a King Of The Web campaign. I finished in an incredible 15th place! I won the "Best Innovation" award at the Student Enterprise. I had the amazing opportunity to go to Amsterdam where I spoke at both The Festival of Games and The TNW Conference, both of which were AWESOME! I gained 300 Twitter followers in 30 minutes and also got a lot of amazing opportunities out of it, but we will get on those later. May was an awesome awesome month! One of the best of the year. Not a lot of things going on at the start of the month, as I was studying for exams, but for the end of it: I got the opportunity to go to Silicon Valley! The tech capital! I got the opportunity speak at the TiEcon event in Silicon Valley, I got the opportunity to visit the HQ of one of my favourite companies: Adobe and I got to meet some amazing, AMAZING people. It was also the first time I've been to the US, It's THE country I've always wanted to visit, so it was amazing on that part too. June was a somewhat quieter month. I did get the opportunity to go to London for the Apps For Good Awards but most of the month I was enjoying my holidays going out to play football with my friends and then working on the game. July on the other hand, was the complete opposite. Busiest month for me. It started off when I was asked by the European Commission to speak at The Digital Agenda Assembly. Now, this event, this was awesome! It took place in Dublin Castle, and the conference was just so so great! I got to opportunity to speak on the same panel as the COO of Rovio (Creator of Angry Birds), I got to meet some amazing people, such as Neelie Kroes (VP of the Commission) and Lord David Puttnam (Oscar winning film producer and Ireland's Digital Champion) Also, thanks to being at the DAA I met a person who asked me to speak at an event in London organized by the Guardian. Also, while there I got the opportunity to visit "Moshi HQ" or Mind Candy's HQ (Creators of Moshi Monsters) and also got to meet Michael Acton Smith or "Mr Moshi" , the founder of the company. For me, this was a massive honor, as when I started getting into technology and computers Moshi Monsters was one of the main games I played, as well as Club Penguin. So, to get the opportunity to meet the creator of one of my favorite games was a dream come true! And, one of the highlights of my year was when I was invited by The Irish International Business Network to speak in New York City.. at the Apple Store in SOHO! I saw this as a perfect opportunity to launch My Little World there, and so I did. New York is to me, one of the best cities in the world. I loved it so much! At first, we didn't think we were going to make it, as our flight was cancelled, but thankfully, thanks to some amazing people, we did get there in the end. It was just amazing! To get the chance to speak in the Apple Store and to launch an application is just unbelievable and I am so grateful to the IIBN for giving me this chance. August was the month I really started to focus on TeachWare, my latest startup. I'd been working behind the scenes on it for a bit, but it became my main focus in August. I launched the testing versions for the teachers. I also got to speak at the European Pirate Summit in Cologne, Germany again. A unique startup event, this was the second time I had the honoring of attending.. It was great. September came around fast, and I was right back in school.. Yay! Another highlight did however take place in September when I spoke at the Campus Party in London.. It was techie heaven! I got to see amazing talks, play the Xbox One early and play people in FIFA, :). Great, GREAT event. October was another busy month for me. At the end of it, the Web Summit event took place in the RDS in Dublin. To coincide with the event, I saw the opportunity to launch TeachWare to the public there. I heard it would be a perfect place to launch a project, and it was indeed. I got a lot of exposure for the product, met a lot of contacts and I also got to speak there. November was here, ALREADY! This year had flown, it had really flown. After launching TeachWare, I decided to take it easy for this month, I celebrated my 14th birthday and I also spoke at the WebCongress event in Miami, Florida, which was another amazing opportunity for which I am very grateful for. Other than that, quiet month. And so, with that we end another roller coaster of a year... a very fast one as this year absolutely flew... But time flies when you're having fun. 2013 I can honestly say was one of the best years of my entire life, but I wouldn't be where I am today without some help, particularly from my family & friends. I am also extremely grateful to everybody who has helped me and my business this year, whether it be inviting me to a conference, giving me some exposure for a product or giving me some amazing advice, I thank you and am extremely grateful. And with that, we end another great year. Thank You So Much Everybody and Merry Christmas to all of you! My Little World is out! 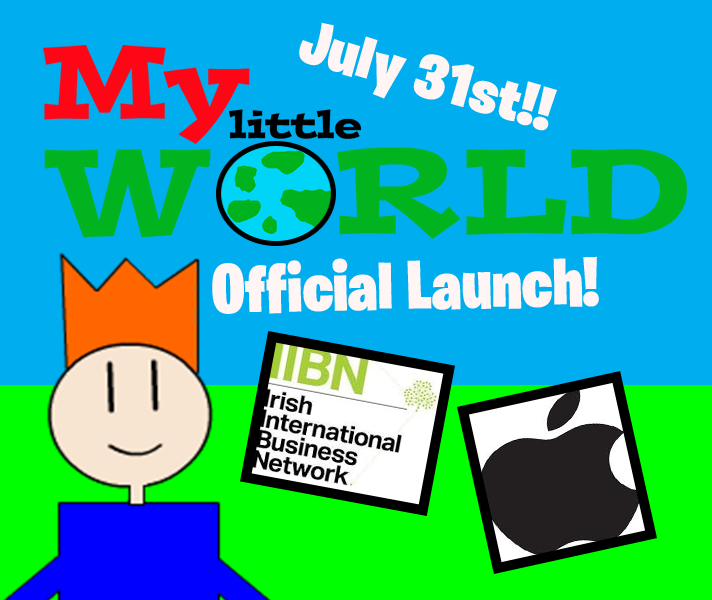 Is it with great pleasure to announce that My Little World is now available for download on the app store! To celebrate we are giving away 5 copies of the game to some our lucky Twitter followers! The official launch will take place in New York this Wednesday but you can still get your copy right now! What to expect with this game? A Fun, Awesome, Chapter telling the story of a tiny creature called JC! A Level Creator which allows you to create your very own levels and enter them into a competition to have your levels featured in the game! Thank You to Everybody who Supported us, Click Here to Download the game and Click Here to follow me on Twitter! Thank You So So much guys and I hope you enjoy the game! Hey guys, Jordan here, back with some extremely exciting news that I've had to kept secret for some time: I'm starting a new company, It's called TeachWare. TeachWare is a web application for Teachers to easily manage all the information about their students, e.g: Profiles, Absence, Exam Scores and lots more including Making Report Cards and Tests.Our first version will be made for Primary School teachers, but soon we plan to create specific versions for Secondary School Teachers, and School Secretaries. Hopefully in September we will begin tests with a handful of Teachers who sign up to the service.We want to choose the best of the best who can give us feedback and things to add and or remove. The service will be completely free and will be ad-supported.For Teachers who work offline, we will sell an offline client. Thanks guys! And Don't forget to spread the word to your local teachers. Casey Games are extremely proud, extremely honoured and extremely grateful to announce that we have been invited by the Irish International Business Network to speak as the only speaker at a special event being held in Apple's Retail Store in Soho, New York City. We are so grateful to the IIBN for inviting us to this event which they are organising and we see this as a perfect opportunity to officially launch the iOS version of our latest mobile game, My Little World. So, hopefully you guys will be able to play the game on July 31st, we plan to release the other versions for other platforms in time for October.The game will cost 89c/79p/ (Tier 1).What to expect? The First chapter of the game, a shop and a level editor! To tie in with all this we are launching a level design competition, the winners of which will have their levels featured in the second update. Once again we would like to thank the IIBN and Apple for this amazing opportunity! Hey guys, Jordan here.Haven't updated in a WHILE! So, today I thought I might do it. In Early April I spoke at a College conference in Portsmouth, England. In Mid April we won the Best Innovation Award in the Junior Category at the Student Enterprise Awards in Croke Park - I was completely thrilled! I am going to Silicon Valley! I will be speaking at the TiEcon event next Saturday in the heart of the county! I am HUGELY excited and I have a lot of other things planned while I'm there.It is amazing opportunity and I couldn't get there without the support of the City Council, Enterprise Ireland and The City Enterprise board! So, My Little World, how is that going? I know I haven't gave you an update for a while.First things first, I am delaying the release until October, again to give me more time to work on the game, I plan to launch it at an event. So how is the game development going? Well for the past month or so, I've really been working on back end stuff.Such as: A Save and Load System, A Pause Menu, Main Menu upgrades, animation, I've developed a collision system. So, what's the one game I've been working on that hasn't had an update in a while? That's right... Food World! We are hugely excited to launch Food World soon and we think it can go places! We currently can't work on it a lot at the moment as Aidan (Our Artist) is doing his GCSEs and I have my Summer Exams.We will keep you very informed on future Food World updates. 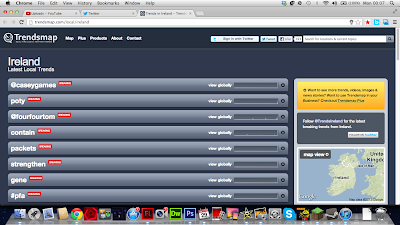 Well guys, that's it for now, I will keep you updated as much as I can!